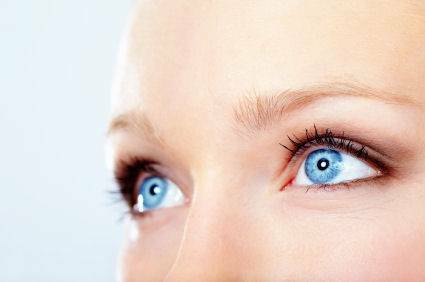 Your eyes communicate much more than you may realize, in fact they play a huge role in your non-verbal communication. Consciously or not, the way you move your eyes, look at someone, blink or make eye contact can say a lot about what you are thinking and feeling. Here's a look at how your eyes speak volumes and how you can learn to read other's emotions through their eyes. Although it is considered unreliable or controversial by some, eye movement analysis might have some truth to it. With these tips you may be able to tell if someone is happy, sad, excited, stressed or not telling the truth. According to body language expert and former FBI counterintelligence officer, Joe Navarro, if a person's eyes move up and to the right when you ask him a question he is more than likely lying. If the person looks up and to the left he is probably telling the truth. However, it's important to realize that when someone looks around it doesn’t always mean he is lying. People sometimes look around when they are trying to process information too. When someone blinks fast it is often a sign that they are under stress. At rest, the normal blink rate ranges between 8 and 21 blinks per minute. If a person blinks more frequently, such as when asked a challenging question, it is usually because he is stressed. But this isn’t always the case. Blink rates can also increase as result of dry air, dry eyes and allergens in the air that irritate the eyes. If you see someone narrow his eyes when you are speaking to him, this is usually a negative response showing you that he finds what you are saying to be offensive. When it comes to showing distaste with the eyes, the narrower the eyes are, the more unpleasant you find what is being said. However, the best way to decipher a person's true emotions is by looking at the rest of his face. For example, narrow eyes and tight lips indicate anger. If someone is uncomfortable with something you have said, he will often use a body language tactic called eye blocking. For example if you see someone cover his eyes or lower his eyelids following a request you make or something you say, it is sign that he is not comfortable or disagrees with what you have said. Happiness is conveyed through the eyes in a number of ways. Arched eyebrows accompanied with a smile indicate you are happy to see someone. Mothers do this naturally with their babies across all cultures. Another way that happiness can be detected through the eyes is through the size of the pupils, which is of course an involuntary reflex. Large pupils let others know that you like what you see. Studies have shown that when you look at an object or person you love, your pupil size increases. Fear is usually indicated by wide open eyes not accompanied with a smile but often an “O” shaped mouth. Surprise on the other hand is also usually shown by wide open eyes along with a fleeting look. Additionally, the pupils will dilate if a person is frightened or excited due to the natural adrenalin response of the body. When someone is focused on something, particularly a near object, the pupils will constrict. Alternatively, they will dilate when someone is looking at a far distance. These are only some of the non verbal emotions we express with our eyes. Next time you have a conversation, look out for these cues. They can help you really understand your friends, family, and colleagues and improve empathy and communication.